Club Penguin Island has a rating of 2.4 due to unjustified and unreasonable hate by players who are not fans of Club Penguin. In this post, I am finally sharing my thoughts on this so-called criticism to our island. These opinions are “controversial” and if you disagree, I would encourage you to leave a comment or a tweet as it is a discussion. Right. Where do we begin? Let’s start with this awful top comment from the Club Penguin Island Facebook page. Where do I begin here? Firstly, if you knew anything about Club Penguin, the game does not have a CEO and the closest person to that role is Kyle Patrick Laughlin. Megg/Bobbi, who you referred to as “the woman who killed club penguin”, is the community manager and can’t simply do that. 95 people agreed with these but that brings me to my main point. A large chunk of the criticism is from people who left years ago and are now going “my childhood is ruined” yet they have no clue of recent years. If they did, I have a feeling they would appreciate the meggnificence of Megg a lot more. It took me three clicks to find the first person saying this. Don’t leave for many years and come back now complaining that your childhood has been ruined when in reality you have no clue of what’s going on. On the topic of reviews, this confuses me. The Club Penguin franchise is continuing yet people are leaving one star reviews in hope that people won’t download Club Penguin Island and it fails…in which case the official Club Penguin franchise will be over forever? Like, can you not be a bit grateful that they’re trying to keep at least part of your “childhood” alive? Would you rather the entire franchise Club Penguin franchise just ends? @Seth4564TI reviews are what people think of it. Each review should be taken seriously. The thing is that old Club Penguin cannot be brought back, like some people demand. This was not a change inspired for money. The idea that the team don’t care about us is…crazy. The decision to go mobile only was not an easy one for the team, they have said that. They know that most people now, especially younger people, have mobile devices. They probably would have know that classic Club Penguin was reaching the end of its lifetime with servers being filled with bots and 2-month-long takeovers. They would not spend over 2 years of work to make a “quick buck” like some people claim unless they truly cared for the game and believe me, they do. It’s very hard to be polite to people who exaggerate the faults of Club Penguin Island so greatly but I tried. Let’s just give some ideas for now. I keep going back to the fact that players will constantly compare the classic version to the new version. Players are already doing that and non-members request at least to wear the pre-registration items. Personally, I think there was a reason why this never happened in the first place. Maybe the team could only program items to be member or non-member altogether but hopefully with such a vast amount of feedback, that will change. And I do believe that will change. Let me explain. Originally during the geo-beta, the problem with Club Penguin Island membership was how expensive it was. Our feedback made it lower and I’m sure our feedback will have a similar effect on non-member features. We’ve already seen non-members slowly get more features like cannonballs and most recently the ziplines. Eventually I feel that will extend to clothing but it will take some time. Some people aren’t even that fond of a membership system. It is certainly unique for mobile, but honestly, what’s the answer? Games like Clash Royale can do purely in-app purchases because they’re competitive e-sports, which Club Penguin Island isn’t. Until a solution is designed, membership isn’t too bad. Pre-registration rewards (alumni jacket and beta hat) have got to be for non-members else there will always be so much negative criticism. This is a good start but when igloos come out, I would try and focus on making igloos more for members yet clothing more for everyone. Eventually I’d like to see the first one or two packs available for non-members to wear as well. Members should, in my opinion, have the ability to get some really awesome looking tubes! But non-members should at least get the tube. The main two reasons for this are that it’s annoying to have so many locked things on your interface. The second is that it’s a tube! All it let you does is float on water, go down waterslides and from later this month, go Sled Racing. It’s not much and making mini-games a member only experience will not at all be a good idea. But I don’t think it’s unfair to give non-member the basic tube if members are able to get some really awesome ones. Currently there’s three chapters of adventures and I’ll explain a bit later on how I’d like this number to increase. When there’s some more chapters for members to complete, it really would not hurt to make the basic ones non-member only. When a bug meant non-members could do some mascot adventures, people weren’t surprised because it isn’t too unreasonable. 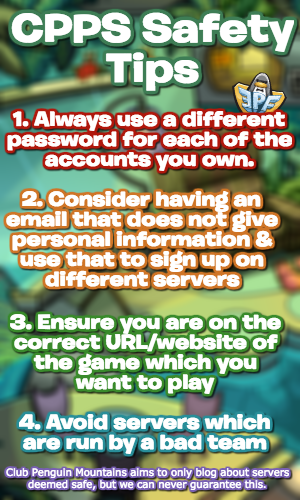 My suggestion would be to let people play either chapter one of Rockhopper’s Adventures or Aunt Arctic’s Adventures. It might be logical to go with AA’s Adventures because that’s what you get introduced to at the beginning, non-member or member. Eventually, why not both? But adventures should be something that will slowly unlock for non-members as time goes by. It may take a year, maybe more, but something that should happen. Things like puffles should be able to have some colours adopted by non-members. I know that’s many months down the line but do have a double think about what non-members get each update too. Of course, members must also get a lot, but still ensure that non-members are also excited for updates! These are four things and I think they can make a MAJOR difference to the point I’m surprised no changes have been made already. Hopefully they work on something soon. This is probably the most controversial part of this post. I appreciate that some people are trying to keep the classic version alive. It’s hard to distinguish these people from those who are profiting of the closure of the classic game claiming it’s for “educational purposes” when receiving donations when the game is offline. I won’t go into names or details but I think most people know what I’m talking about. Receiving over 100K viewers in a matter of days is very impressive but it is also a threat to Club Penguin Island. I doubt there’s ever been a time in CP history where a non-official game is literally competing with an official one that has the power to end the contest. If you search “Club Penguin”, “island” is first but the name of the CPPS is second. The Club Penguin franchise is continuing and I don’t feel like this private server will help it to continue to its full potential. Anyway, some brief points and not necessarily something that needs to happen but something that would help a lot. The team can help with this, mainly by listening to our feedback. But this is about the players! it is awesome that we’re seeing new social media accounts, new blogs, new readers of blogs, new chat servers and things like that. It’s really bringing back that old Club Penguin feel which was mainly because of the community. Once everyone begins to like Club Penguin Island and we get that “old CP feel”, I think we’ll be a lot better off. It is indeed true that the classic version had more places to explore and you could argue more things to do. But this was classic Club Penguin after the same amount of time CP Island has been out. More stuff will come in updates. So much amazing stuff is coming, a lot that will be new and a lot that will be familiar. Here’s proof. Above was the map in 2005. Below is the map from classic Club Penguin before it ended after a difference of over eleven years. The point is, the island needs time to develop so give it that! The game is new yet they’ve already done so much and it’s important to realise that, especially before leaving a negative review! On the topic of more things coming, let’s talk about the monthly update system. It isn’t quite the weekly update system but I think provided there’s events and free items in-between updates, it’ll be fine! Each update will be big but I do have an ambition for each update. I have no clue how realistic this is but I would like new adventures and new levels with new rewards each update. The adventures might not be possible, but at the start of the update, there should be no player at max. It makes it more boring for that player. Rewards don’t need to be anything big but then again, I have no clue how realistic this is. Clothing can literally be copied from classic Club Penguin, we would love that to happen! Here’s an idea I had for a random pack…the Sky Adventure Pack. It would contain the propeller cap, space suit, helmets etc. from classic Club Penguin, a tube that’s like a rover and maybe some emojis. That could be a pack and I would love that because it increases the max level, something which I would love to happen with each update. I just need to add this because Wikipedia considers all my reviews on Club Penguin Island negative even though they’re positive. But it’s true, I love Club Penguin Island. It has a bright potential and I hope for Club Penguin Island to reach millions and millions of more downloads. Anyone who fails to support it isn’t a Club Penguin fan if they want the official franchise to end but I mean, how could you dislike it other than for the restriction of non-members? The filter is better, the gameplay is better, I’ve never actually been hyped for a new update for over a year now. Club Penguin Island is amazing, my only concern is that not enough membership sales will take place to keep the HQ running but it’s something I really hope will change as it really deserves too. Okay…so. Thank you very much for reading and uh- have a great day! 1) In 2016 the game was “filled with bots and 2 months long parties” because they had to make CPI. 2) Why did they make CPI? They noticed they were losing players. What did they realize? They realized the reason for that is because kids play on mobile. While that is true — they ignored other BIG reasons why they were losing players. Maybe you know, the team should have known that the filter was strict, the parties were getting boring, the catalogs weren’t as “great looking” as before, the newest igloo items were TOO BIG and not as lively as the old ones, and in general, that the game wasn’t as FUN as it was once! 3) Sadly they ignored those reasons, so they blamed it on the fact that kids play on mobile. 4) Finally, I have to say I no longer dislike Megg, although If she is a “community manager” (and assuming part of her work is listening to feedback), she would have AT LEAST alerted the team about these issues listed above, but I feel like she didn’t really want to know why the game was losing popularity. 5) What’s done is done. CP will be never brought back, and honestly, CPI is a good game. But I really want the team to realize that the game lost popularity NOT because of kids going mobile, but because of their lazy and rushed decisions, ever since Billybob left and Spike Hike came. I work in the Club Penguin HQ in support, and straight up nobody played Club Penguin anymore. Only one server was ever populated and they lost a crazy amount of players. It’s not like the devs wanted to shut it down, I’m sure they would have kept it going if it actually had a community, but straight up weren’t generating enough income to keep it going and keep paying the devs and support team so they had to move on to another game. Mobile games make a lot now, so that was the best option available. Club Penguin had its best year in 2013, in my opinion. But part of the reason why it wasn’t as fun from 2015 onwards is because that is when they dedicated time into Club Penguin Island. October 2012 peaked the most log-ins in a month. 2013 was very active and 2014 was pretty decent too. 4) Yay! She did try her best – without her, for example, we would’ve just had another takeover instead of a Music Jam last year. The Twitter community really wanted it and she made it happen. 5) Agreed. 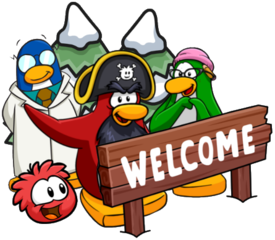 The main impact Spike Hike had was giving the Club Penguin franchise a more mobile direction. I remember Billybob saying that CP was about creating content almost non-stop. I think that is happening for CPI again and that’s great! I do hate Club Penguin Island, and I now like “NewCP” a lot more. And “OldCP” (which I never played but looks SO COOL) i love it. I’m curious though, why do you “hate” Club Penguin Island? And which year did you join CP? Oh cool! 2013 was the best year for Club Penguin in my opinion! Omg how could they offend Megg like that!?! Well she is a “NewCP” mananger. But in her case that is not bad. She’s like Happy77 (cuz she blogged too) they’re both cool. Ikr! Happy77 actually left in 2006. Lots of staff members just used that name for a while, I think 2012 was the specific year that ended but don’t quote me on the year bit. IKR! When i wrote my good review on CPI, and i saw all of those bad reviews, that is just because 1: People wants CP back, and they dont want to play this game (some have not even tried it), 2: The game is too big (as files), and too powerful for my phone. 3: Pay to win. And some people who liked the game, they couldnt run it, which makes negative review. And some just want non membership items, like party blaster, clothes etc. I think if they make the clothing shop is a GREAT IDEA for cpi. Like in the old cp, where you buy clothes, but some of the clothes be for non members. And it would be amazing if non members can wear bought clothes, and clothes from prizes (like panda suit). We can use our saved coins that way, because as you know i am not a member, and that is not a problem. The game just needs to grow. Do you remember the old psa/epf missions? They were for non members. I think every mascot should have their mission, not only two mascots with chapters. Like gary be in the mountain, with his missions to stop herbert. And the old missions to be for non members, and the new one to be for members, that way every new chapter will be hype for members and non members! Just wait one year, and this game will looks like kinda like the old cp. Puffles and igloos will be added, new areas and missions. I really hope disney read this post and the comments, and do something. CHANGES ON! I completely agree! And it is true non-members are very restricted and I like the idea of the clothing shop. Maybe that will happen in the future and catalogs are there for now as a placeholder for that! Torres 126 did amazing job, well done buddy! I hope everyone read this post, and that is why i am reposting it. This was a documentary made in 2012.